She got ready to leave the house without the diaper bags, strollers, and bottles – for once. She said goodbye to her three-year-old and nine-month-old twins. She was feeling a little queasy and was looking forward to getting past the first trimester. Christine was so fiercely determined to make breastfeeding actually work with baby No. 4 that she was going to her first La Leche League meeting when she was just 10 weeks along. “I’m going to this meeting. Probably just this once. I’ll talk, and then they won’t want me to come anymore,” she told her partner. Christine was painfully aware that she didn’t fit the “crunchy” stereotype with her repeat C-sections, formula-feeding, and disposable diapers. But she wanted to nurse this new baby so much that she was ready to – in her words – “risk utter humiliation and shame in order to do it.” Trying to breastfeed on her own just hadn’t led to the results she wanted; she was going to have to seek help. Christine’s body language when she sat down at that first La Leche League meeting was defiant and defensive. Clearly, she felt completely out of her element. Anticipating judgmental glances and backhanded comments, she revealed she was hoping to nurse the baby she was expecting but had had repeat C-sections and mainly formula-fed her three children. She paused and waited for the condemnation she felt sure was coming. Instead, Christine was shocked that “people were really compassionate” toward her. No one remarked about what she “should” have done. And when she opened up about painful aspects of her story, she heard, “I’m sorry. That sounds terrible. I’m sad to hear that happened to you.” It was almost as if the group had been waiting for her. Christine was met with kindness and empathy that night, and she left feeling like her experiences – and truly, her SELF – had been honored. Over the next six months of her pregnancy, Christine risked it over and over again to come to La Leche League meetings twice a month, rarely missing. Though it wasn’t easy, she pushed through her insecurities and anxieties. She found that the group welcomed differences of opinion as well as experiences, something she never expected. She heard the mantra repeated at the beginning of every meeting: “You’ll hear a lot of different ideas here. Take what works for you, and leave the rest behind.” So – she DID. 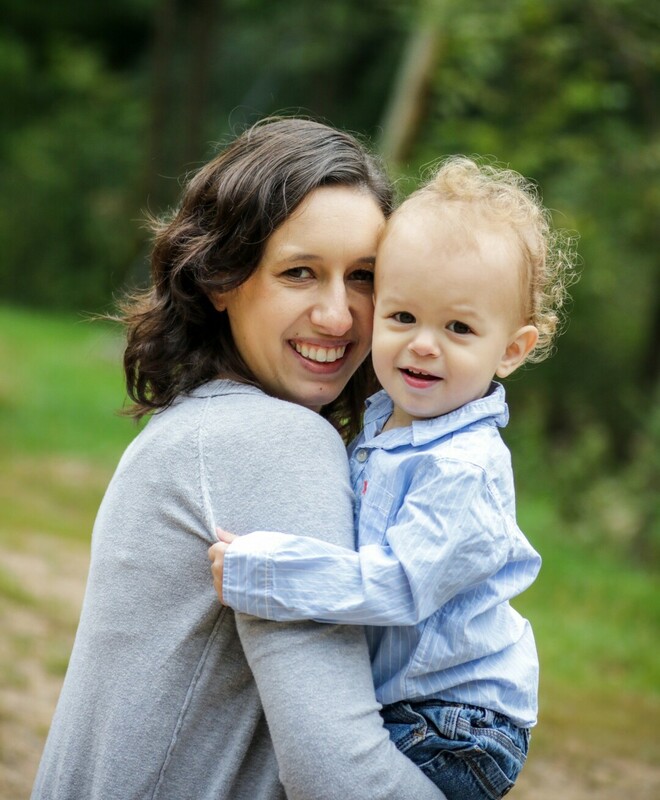 By continuing to come to LLL meetings and forming friendships with other parents, Christine has learned how beautiful it can be when we risk relationships and learn from one another. Her life is richer because she has chosen, deliberately, to be in community with people who build each other up. She has been able to achieve the breastfeeding success she desired with the support and encouragement of LLL leaders and other parents happy to walk with her on her journey. It’s been nearly two years since her first LLL meeting. Christine is proud to have worked hard to fully breastfeed Mason, her fourth child. With support from the LLL community, they overcame some challenges and are still nursing at 15 months. Christine remains actively involved with LLL and makes it to most meetings with four kiddos in tow. She has exclusively formula fed, and she has exclusively breastfed. Christine’s unique perspective has led her to make an astute observation, and it is one we would be wise to ponder: Parents today are often shamed on both ends of the infant feeding spectrum. And this is just one of the many issues we all wade through as parents. The culture of “mommy shaming” that pervades into all aspects of our parenting is damaging to every one of us, as well as to our children. The comparison game is one that truly has no winners. So what if we viewed Christine’s story as a reminder to focus on each other’s humanity? To say no to shaming other parents, whether outwardly or in our heads? What if we consciously decided to meet each other with empathy and honor the experiences we have each had that make up who we are at any given moment? If this all sounds too good to be true, it is – if enough people do nothing. But Christine found out that when people come together with intentionality and encourage each other toward a common goal, powerful things happen. What about you? Will you join us – intentionally – in this counter-cultural movement? Whether through LLL or something else, our community is waiting to benefit from your participation. La Leche League of Eau Claire is one of many offerings in the Valley that foster intentional community with a respectful, encouraging atmosphere. We strive to meet parents where they are, and we recognize that people’s stories (like Christine’s and like our own) are beautifully messy and complex. Our trained and accredited leaders support any parent or parent-to-be who wishes to breastfeed and/or feed their baby human milk. Help is available by phone, email, Facebook, or in person. LLL-EC meets twice a month and offers both morning and evening meetings. Visit our Facebook page for leader contact info, meeting schedule and topics, and more: www.facebook.com/llleauclaire. Hafele is an accredited La Leche League leader and certified lactation counselor.